This soup was amazing! 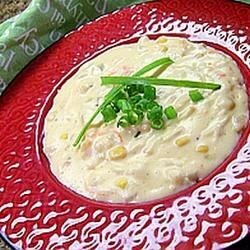 I halved the liquids and used a can of cream corn and 12 oz of crab to use what I had in the cupboard. I'll be making this again for sure!! This bisque was awesome but a little too bland so I used about 2 tablespoons of Tony Chachere's (cajun seasoning) and now it's tastes like something I would order straight out of new orleans.